MV Giamani is proud to be an Aqualung Partner Center, as Aqualung brand is an easy choice since their reputation for quality reflects ours when it comes to having the highest standards of safety and comfort. 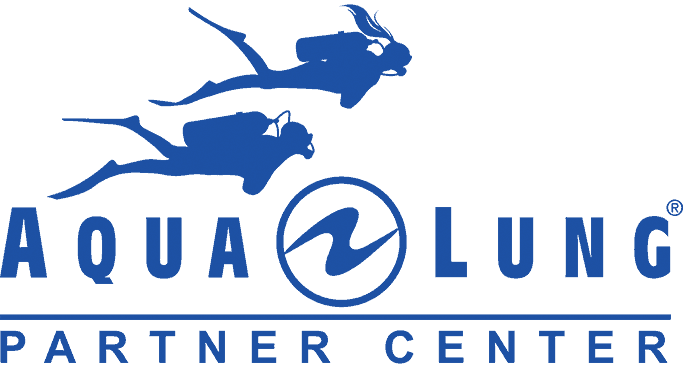 As part of our professionalism as a partner center, we are committed to servicing and renewing all our equipment on a regular basis, so you can be assured that all of our rental gear is either recently purchased or recently serviced. The old and worn gear is retired and renewed any time necessary as part of our continuous commitment to ensure that our guests have access to the best possible gear during their experience with us. Our guests have the opportunity to choose between STANDARD Equipment Set and PREMIUM Equipment Set in order to maximize the quality of their experience on board. *FREE of charge when you are doing Open Water Diver or Advanced Open Water Diver course! If you have any questions about the rental equipment on MV Giamani please contact us and we’ll be happy to give you all the clarifications you need. The difference between the two types of scuba kits we offer is in the models of Regulator and BCD provided. The rest of the gear (wetsuit, fins, and mask) will be the same whether you choose the Standard or the Premium kit. For the Premium Kit we offer different sets for Men and for Women, guaranteeing maximum comfort for both. 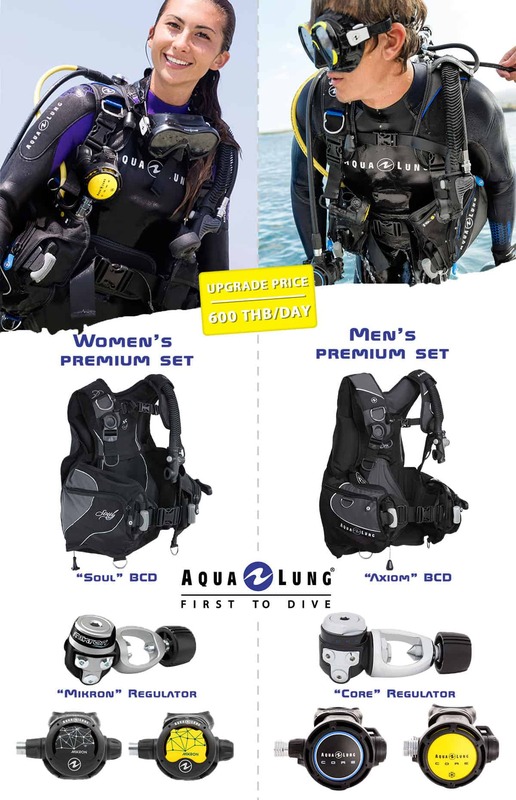 The standard equipment set includes basic models of Aqualung BCD and regs. The BCD does not have integrated weight system and the regulator is an unbalanced type. All is regularly serviced and well maintained. The standard equipment is suitable for both men and women. 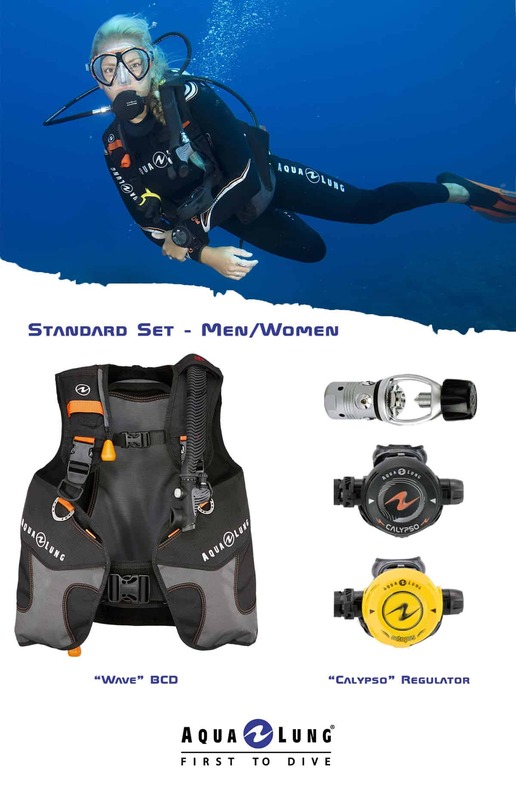 Upgrade your MV Giamani liveaboard experience to a Premium level and enjoy wearing a super-comfortable BCD with integrated weight pockets & a set of compact, fully balanced & lightweight regulators! We provide different sets for men and women, allowing maximum comfort for both. Wave is a basic and reliable BCD model which has been the benchmark for Rental BCDs worldwide for many years. Basic and reliable regulator set which has been the standard for Rental BCDs worldwide for many years. Unbalanced piston type, which means fewer components and good reliability & easy maintenance though not the same ease of breath as with balanced regulators. Compatible with EAN 40 gas mix. Unbalanced type, which means good reliability though ease of breath not as good as balanced types. Box bottom made with reinforced ABS with an inline venture vane. The Soul is a luxury BCD dedicated for women. It incorporates Aqua Lung’s most comfortable harness system to date, the Wrapture Harness™. It is equipped with new tank band and buckle system GripLock ™ and integrated weight pockets. One large deployable utility pocket and a small zippered pocket on the flap. this regulator is perfect for women and young adults/children. Even more amazing is that the compactness doesn’t sacrifice the performance of the regulator. Its balanced first and second stages guarantee exceptional breathing performance. Auto Closure Device (ACD) – automatically keeps corrosive water out of the first stage inlet when removed from the tank’s valve. Ultra-light weight for maximum comfort in your mouth. Axiom is a durable, full-featured BCD that boasts amazing comfort and fit. This ADV style, wrap-around jacket gets its noticeable comfort and support from Aqua Lung’s proprietary Wrapture™ harness system. This allows you to stand up straight in total comfort while the cylinder remains perfectly vertical and pulled in close. This comfort,along with the integrated weight system, makes Axiom the new standard for recreational divers. Super streamlined air cell design making it one of the most streamlined jacket style BCDs in the world. SureLock II weight pouches provide a simple, single-pull release. Fixed pockets on the tank band increase weight capacity and help provide proper trim in the water. The chest strap can be adjusted for personal comfort. 5 stainless steel D-rings and 1 plastic D-ring for all of your accessories. The CORE regulator’s amazing breathing easines provides the best value of any regulator offered today. The CORE comes standard with Aqua Lung’s unique, patented, auto-closure device (ACD)which seals water out.